A Dunny Detective. Amenities Aficionado. Conveniences Chaser AND Top Toilet Tragic. Hell, with Scenic Loo blog series; a couple of Dunny Calendars and a book called ‘Aussie Loos With Views!’ under my belt, I reckon I’m the Poster Girl for Scenic Australian Public Toilets! But I had NO IDEA about World Toilet Day! 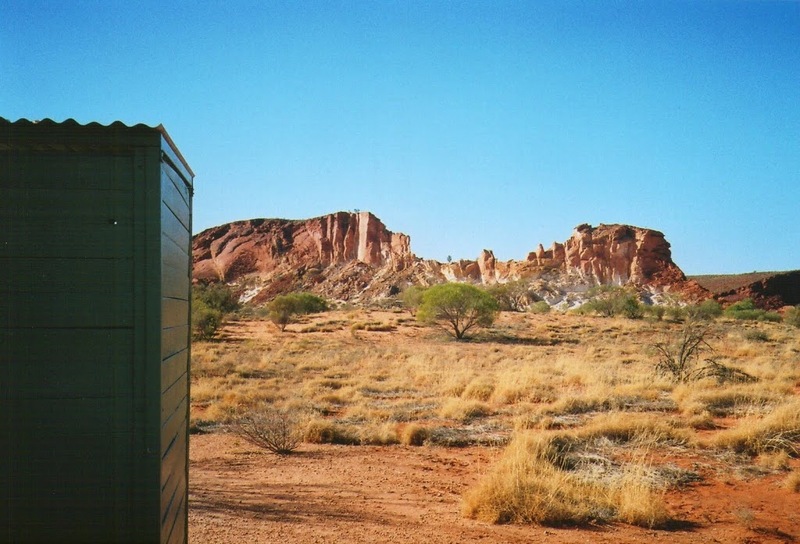 When I took my first ever Scenic Aussie Public Toilet photo from the picnic area loo at Kata Tjuta – the Olgas – I had no idea if it was Australia’s MOST scenic dunny or not and I wanted to find out. 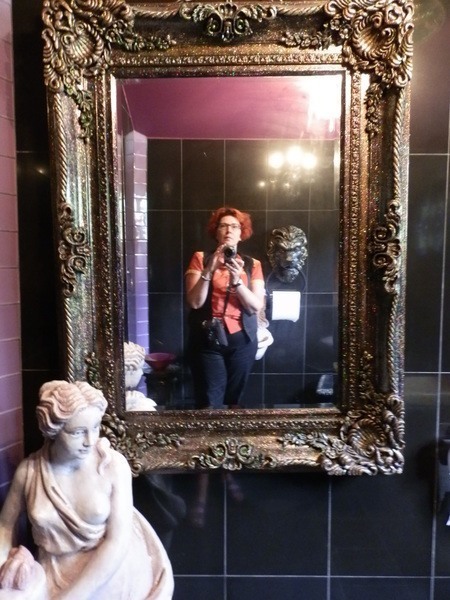 Finding Amazing Amenities and Designer Dunnies was easy – when I put my ‘Dunny Goggles’ on – so I snapped the Wonderful WCs and COOL Conveniences wherever I found them all around OZ! Until I just couldn’t imagine a world without toilets. Sadly, however, 2.4 billion of the world’s 7 billion people don’t have to imagine a world without proper toilets. And nearly 1 billion don’t have ANY toilet. That compromises their health, hygiene and basic human rights. Yes, that’s nearly ONE-THIRD of the world’s population. 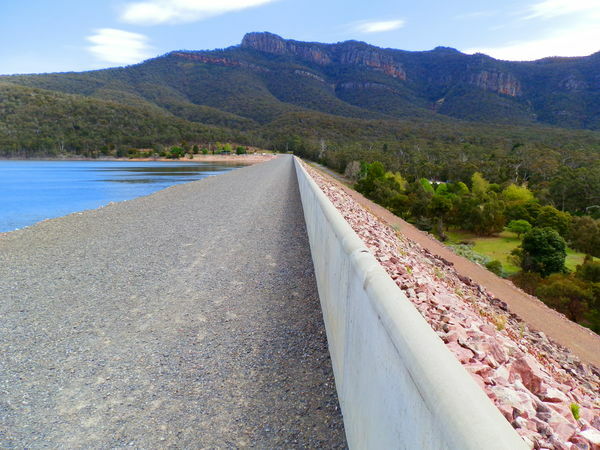 So while you enjoy my TOP TEN Aussie Scenic Loos retrospective in honour of World Toilet Day on November 19th, imagine Australia without those awesome toilets. Imagine life without proper toilets. Imagine life with NO toilet. Looking down to Rawsons Pass Loo – Highest Public Amenities in OZ! The view from the Rainbow Valley campground Loo! They’re all REALLY worth holding on for, aren’t they? Have I included – or missed – YOUR favourite? Yes, I’m a Loo Lover. And I’ve even got my dunny goggles on all the time! But if ABC radio hadn’t emailed me asking for a World Toilet Day interview on November 19th, I wouldn’t have known anything about it. I wouldn’t have shown off my TOP TEN Australian Scenic Toilets. And I certainly wouldn’t have been part of World Toilet Day 2015! I don’t yet know how I can help increase the proportion of people with access to a clean toilet, but raising awareness is the first step. And SHARE this post (buttons below) to help spread the word about World Toilet Day! Previous Post: The Ultimate Beginners Guide to Limestone Coast Attractions – Part Two! 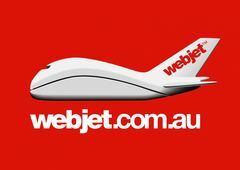 « The Ultimate Beginners Guide to Limestone Coast Attractions – Part Two! Thank you Chantae – I think!!! It IS a tragedy to remain loo-less downunder when dunny detectives like me are working around the clock to bring you the very best Amazing Aussie Amenities!! 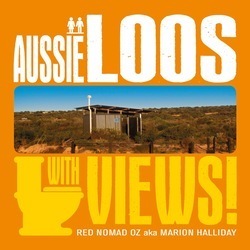 Did you know that Aussie Loos With Views has its own FB page?? That’ll keep you even MORE up to date!! Nice reading your post. I like your blog . Thank you BTFGIA! Glad you enjoyed our Aussie Loos! Walt Disney World in Orlando Fl must have the greatest toilets in the world since everyone in the world came to see them on my visit there. I’m more a roller coaster guy myself. Ha! But how did you KNOW everyone in the world visited the loo, Bob? I saw it was World Toilet Day and immediately wondered if you would share some of your dunnies with us again. My favourite is the Birdsville one – I bet that gets high on a hot day! With the thought of using the ‘starting blocks’ in rural Greece fresh in my mind, it’s not hard to be thankful for the facilities we have, even in some of the remotest of places. We are VERY lucky, Pauline! And how weird that you saw ‘World Toilet Day’ and thought of ME!! There are a LOT more Queensland loos with (arguably) better views that I could have included, but there’s just something about that Birdsville Dunny! Yes, we ARE lucky in Australia – I think the loos we have are (mostly) fantastic, and it’s hard to imagine what it’d be like to travel without them. Happy World Toilet Day! I’d never heard of World Toilet Day either. And you are right, sadly there are many people around the world that don’t have access to proper toilets or sanitary conditions. I am happy to squat behind a bush in out-back Australia (as long as there are not too many flies!) but I know I struggle with toilets in Asia. Thanks to you I’ve been known to snap a few loos in my travels around Australia Red. There certainly are some fantastic scenic loos with views! I wonder if we can catch the interview on “podcast” or whatever? Happy loo day Red. Are we voting? I am anyway, for Mount Wellington. The top 5 were actually a tough call, Andrew! Mt Wellington should probably win, just for the fact that the loo is architect-designed with windows along the front so you don’t miss a second of that awesome view! Happy World Toilet Day! The first time I went to Mt Wellington I’d left behind a heatwave in Adelaide where it was high 30s/low 40s every day. In Hobart, even though it was midsummer, the first night was 6 degrees and it was only 10 or so up the top! Amazing!! Happy World Toilet Day, Liz! I had no idea there was a World Toilet Day. I’ve shown my toilet on my blog in days long gone now, so I won’t do it again, since the toilet hasn’t changed at all. We never give much thought to those who don’t have toilets, do we? We get insulated in our better-off countries with all the available facilities. I know there are groups of volunteer people who go overseas and help villages to build things like wells for water and school buildings etc, I would hope they’re also teaching about toilets, but without a water supply, western-style toilets probably aren’t possible. They’d have to have composting toilets. Yes, I’m a World Toilet Day virgin too, River!! But maybe you could dress your toilet up for the occasion, haha!! The whole issue of 1 in 3 people not having access to a proper toilet is NOT so funny – there are challenges, but if we can put a man on the moon then surely it’s not that difficult?? Happy World Toilet Day, my friend! It’s great to have a choice of loos downunder, Jo-Anne! And yes, some of them are SCARY!! But what scares me more is NOT having a loo AT ALL! Spreading the word about this serious sanitation issue just might make a difference! Happy World Toilet Day! Those without loos most likely don’t know what one looks like! Must get some great views whilst contemplating the lack of facilities around the world. It’s a massive contrast between my Super-Scenic Aussie loos and NO loo, isn’t it Fun60?! Sometimes I grumble about the lack of facilities on long-haul road trips downunder, but I really have nothing to complain about 😀 Happy World Toilet Day! I will try and make my customer spread the word in his B2E-portal. Hahaha, the loo in Sun Pictures in Broome is actually one of my favourites too, Iris – but for this post I went for scenery!! Even #9 which is classic Aussie Outback scenery!! Glad you’re still loving the calendar – there’s a new one on my websit! Check out the right hand sidebar! Happy World Toilet Day, my friend! Congratulations Red on your notoriety on World Toilet Day. Some stunning views there. If you’re in FNQ, listen to ABC Radio at 4:00 pm TODAY and you’ll hear ME talking about Australia’s scenic loos, Carol!! Thanx for dropping by – actually, two of my fave Aussie loos are in the Cairns Botanic Gardens, and on Castle Hill in Townsville! Happy World Toilet Day! I decided to take part in World Toilet Day with my photo I JUST took during my trip to Mt. Fuji, where many international travelers visit. When I found THAT THING during my trip, I realized that cultural differences are relevant to problems with how to use toilets. Hopefully I’ll post it on Twitter, Google +, and more, tomorrow. Toilet is not funny, but serious. But your post, especially No.9, is a bit funny, after all!! Wow! A Mt Fuji Loo pic!! Can’t wait to see that one, Kozue – I’ll be visiting your pages later today. And you’re right – it IS a serious issue, especially when so many people don’t have access to a proper toilet, which also affects their health. 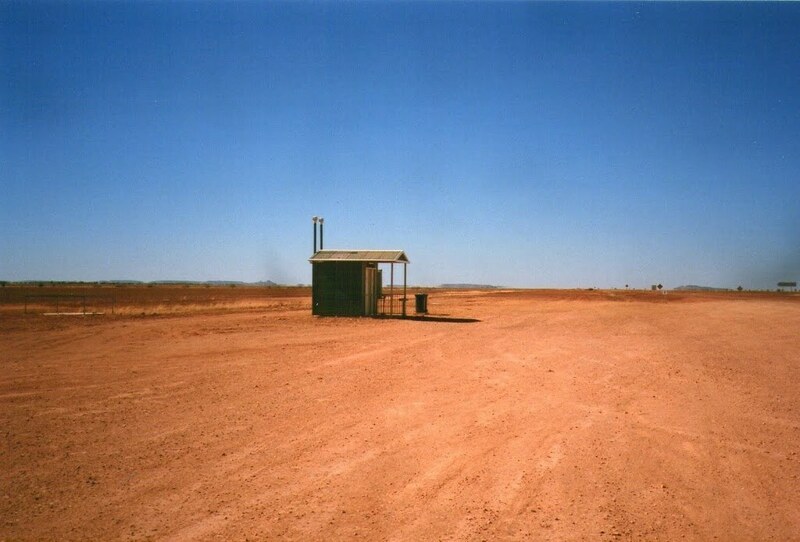 We are lucky to have such scenic loos in Australia – even #9!! – but that is a privilege that many do not have. Happy World Toilet Day, my friend!